The website profiles 50 innovations from across Pakistan, giving investors and clients an overview of the innovation, resources, and contact details. The platform welcomes new innovators to be featured, and provides blog posts and announcements on trends, events, and conferences on education innovation. Pakistan’s education system is beset with challenges: According to Ilm Ideas research, Pakistan has the second-highest population of children out of school, of whom 30 percent are primary school-aged girls, and 64 percent from the poorest households. A large portion of children at school are at risk of dropping out. Fifty percent of boys and nearly 60 percent girls cannot read sentences in Urdu, the country’s official language; and 62 percent of the girls cannot do basic division. The Global Education Development Index places Pakistan at 113th out of 120 countries. The concept of innovation gained significant momentum in international development in the past decade with donors and implementers investing heavily in catalyzing creativity. Innovative approaches are urgently required to address education deficits specific to Pakistan, where access to safe and quality schooling for children ages 5–16 is highly uneven. DAI-led Ilm Ideas is a four-year programme that awards competitive grants for promising education ideas and innovators. With a portfolio of £11 million, the programme has tested 33 ideas to improve access to quality education. 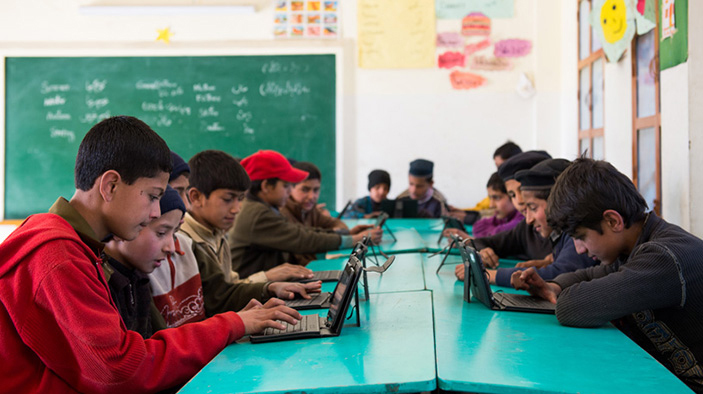 In addition to piloting potential solutions, Ilm Ideas has strengthened the education innovation ecosystem in Pakistan by catalyzing a culture of social entrepreneurship in the education services market, helping partners transform their projects into sustainable solutions. A key component has been facilitating connections between service providers and the education market. “Meeting the education challenges of Pakistan requires us to challenge the status quo and find out-of-the-box ideas for our children to have a better education,” Zaidi said.